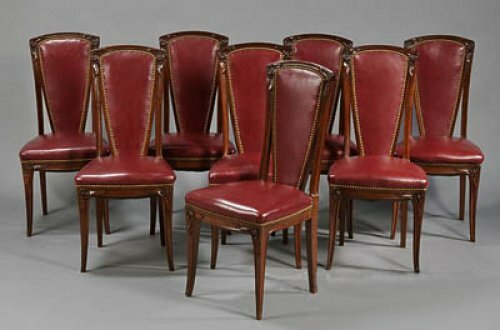 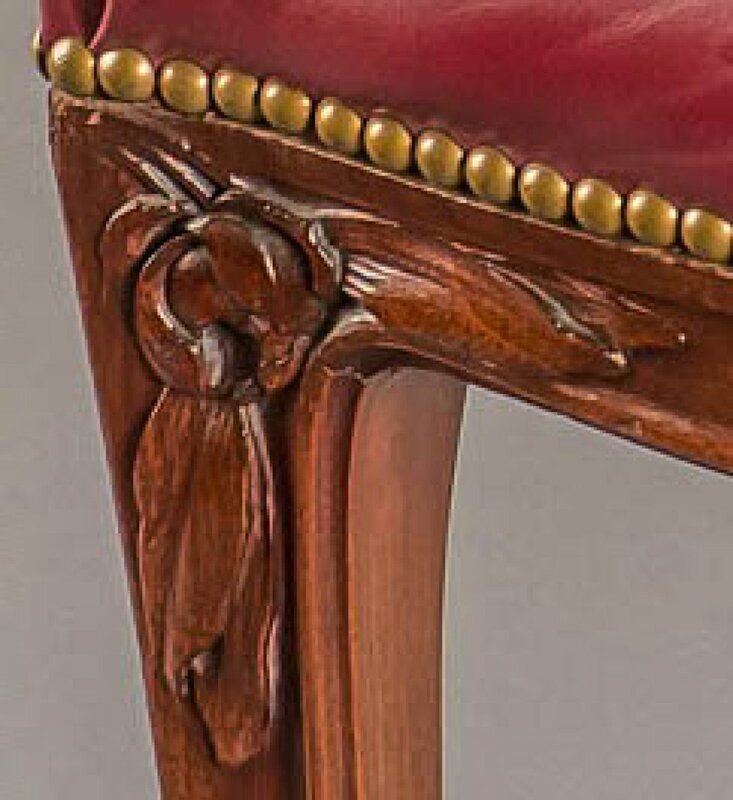 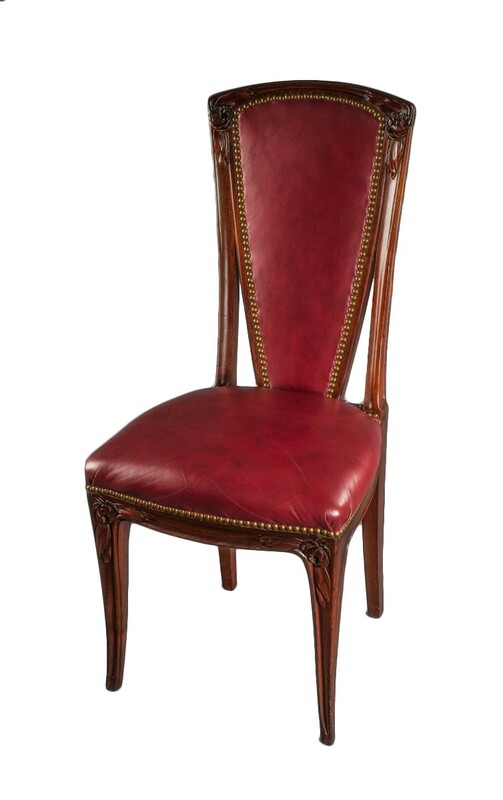 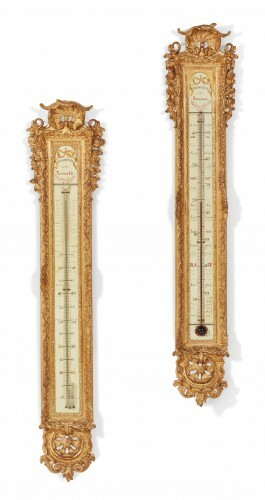 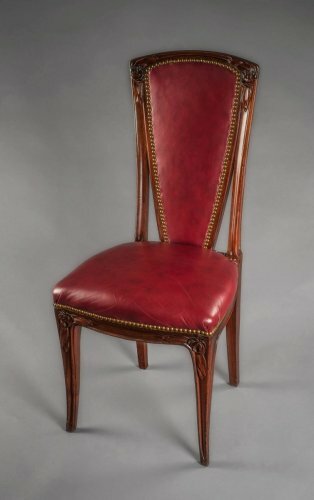 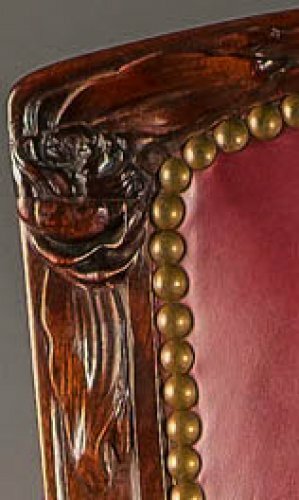 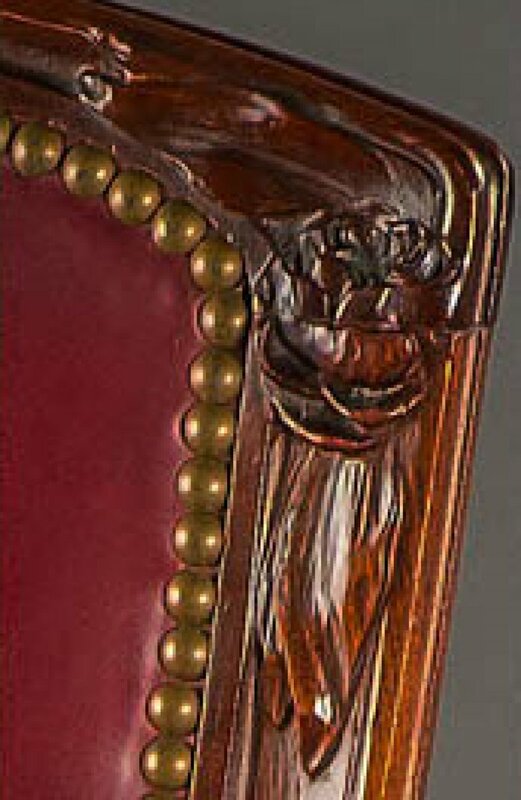 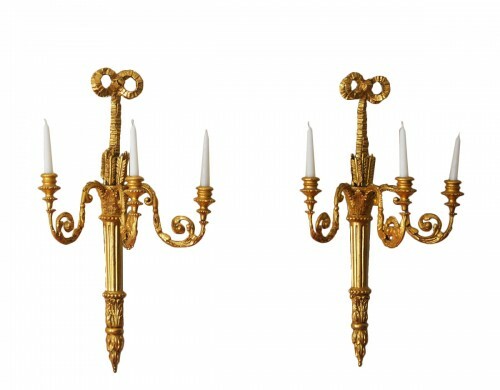 In solid, carved walnut in the manner of Louis Majorelle with carved floral crest, V-shaped upholstered backsplat, and seat in red leather with brass tacks. 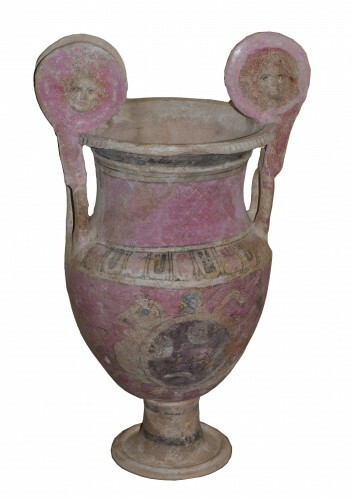 Shaped legs with conforming floral decoration. Circa 1900.